Monday, August 29, 2016 by: Isabelle Z. (NaturalNews) The dangers of GMOs in the present day are the subject of much debate, but few can deny that the first genetically engineered (GE) products were truly dangerous. In fact, few people can talk about it at all, because most people have never even heard about these early products or the damage they caused. Alliance for Bio-Integrity executive director Steven M. Druker relayed this information is his book, Altered Genes, Twisted Truth: How the Venture to Genetically Engineer Our Food Has Subverted Science, Corrupted Government, and Systematically Deceived the Public. The first edible product produced by genetic engineering killed dozens of people, and caused thousands more to become seriously ill, with many of them ending up permanently disabled. The product in question was a food supplement made of the essential amino acid L-tryptophan derived from bacteria that had been genetically altered. Despite meeting pharmacological purity standards, it contained trace amounts of impurities, one of which turned out to be highly toxic, even at low levels. The genetic engineering is believed to be responsible for the formation of the toxic substance behind the epidemic. No tryptophan supplements that were produced with non-engineered bacteria had ever previously been linked to the disease. Not surprisingly, the FDA issued a slew of deceptive statements trying to shift the blame away from the technology, and their efforts seem to have worked. Most people familiar with the situation seem to be satisfied with their explanations that GE was not responsible, even though the evidence paints the opposite picture. The majority of people, however, don't even realize this incident ever took place. This was just the first in a long line of deception and scientific fraud related to GMOs. The tryptophan supplement disaster was followed by the first-ever whole food to be produced using GE, the "FlavrSavr" tomato from Calgene. In the company's voluntary feeding studies, there was a disturbing pattern of stomach lesions. At the time, the FDA's Pathology Branch found that there was no sufficient demonstration of safety, with other FDA experts agreeing that the unresolved questions about its safety needed to be settled. However, this was swept under the rug when they announced that the tomato was every bit as safe as other tomatoes, and that all safety questions had been resolved! In fact, the scientists' memos outlining their concerns did not even see the light of day until four years later, when a lawsuit from the Alliance for Bio-Integrity called for more than 40,000 pages of internal files to be handed over. Of course, this was never reported on in the mainstream media. The FDA said in May 1992 that "the agency is not aware of any information showing that foods derived by these new methods differ from other foods in any meaningful or uniform way." This, despite the fact that an FDA microbiologist said that GE plants may be more hazardous, and the director of its Center for Veterinary Medicine said that the products presented "unique animal and food safety concerns." In addition, their own biotechnology coordinator said that the allergenic potential of some of these foods was particularly hard to predict. 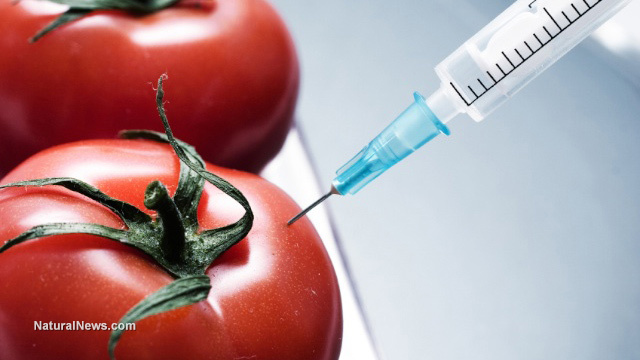 Because the concerns about the tomato and tryptophan were never publicized, we now find ourselves in the situation that exists today, where people continue to deny that GMOs are dangerous, and the informed have little choice but to grow their own food so that they can be sure of its origins. Perhaps the GE food experiments would have been stopped or at least scrutinized a lot more closely if the FDA had been honest about the concerns raised by its own experts. It's clear that the development of genetically engineered and modified food has depended on playing fast and loose with the facts since its very inception.